But Sunnyside is more than just a physical space. 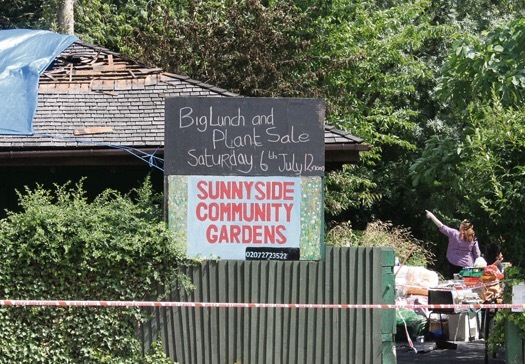 Sunnyside provides a range horticultural and other services,notably helping and supporting residents with learning difficulties. However, the local Community has rallied round, and until such time as the Insurance settle, and we can rebuild, services will continue. 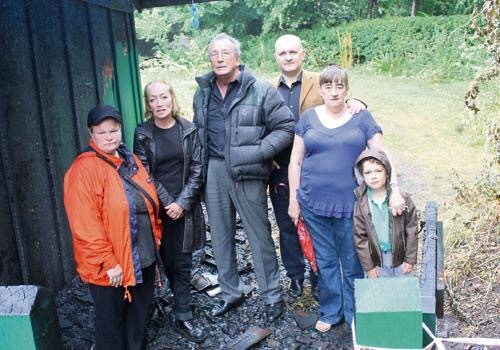 My call for the Council to provide a portakabin was picked up by Cllr Lorraine Constantinou, and with help from Mullaley, a portakabin duly arrived. 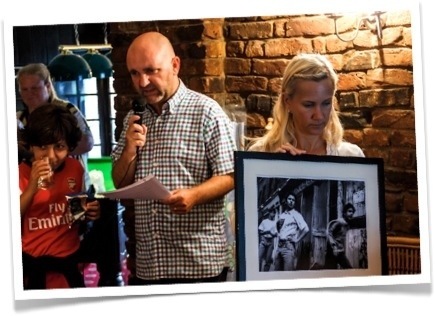 And local campaigner Carl Quilliam organised an auction in the Royal Oak pub, where I was proud to be auctioneer at an event which saw generous donations from residents and Councillors Stacy, Horton and Constantinou. And then of course there were the numerous residents who turned out to bid for the lots, and buy the raffle tickets. But it didn’t stop there. Local residents group WHPARA donated £100 and publicised the event, and prizes were donated by other local groups including Islington Boxing Club and Caxton House. Local MP Jeremy Corbyn also offered tea in The Commons as a raffle prize. So from this adversity we have found a real community spirit, and hopefully (if you will forgive the cliche) we will see a Phoenix rising from the ashes. In total, the auction/raffle raised over £700, but there is of course a long way to go. Thanks to M.Heath for the photo from auction. 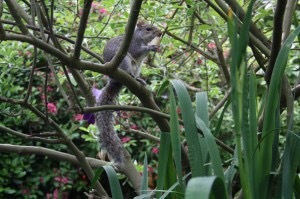 This entry was posted in charity, Islington and tagged Greg Foxsmith, Hillrise, Islington, Sunnyside Gardens on September 5, 2013 by Greg Foxsmith.